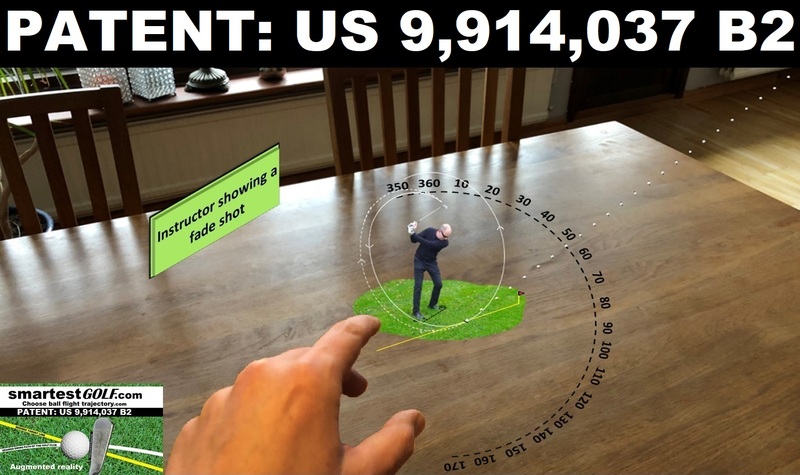 Let an augmented reality instructor show you how to execute almost any possible golf shot. You may e. g. change the size, position and the tempo of the instructor. 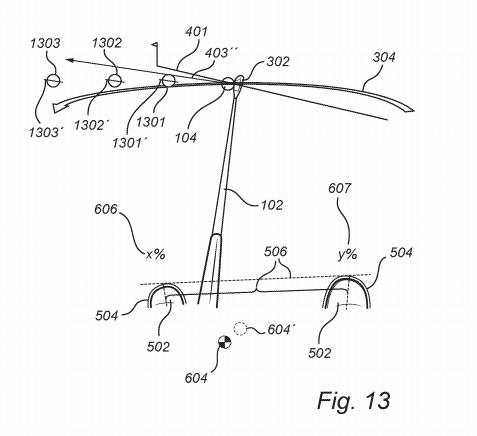 Furthermore, why not change e. g. the golf club head orientation guiding line to see how the spin axis and the ball flight trajectory of the ball changes? You are unique, just like everyone else. It is the same in golf. Your swing cannot be exactly the same as others. Everyone's golf feeling and measures differs. It is important what happens at impact during your swing, i. e. where your swing path, club head orientation and target line are relative each other at impact. 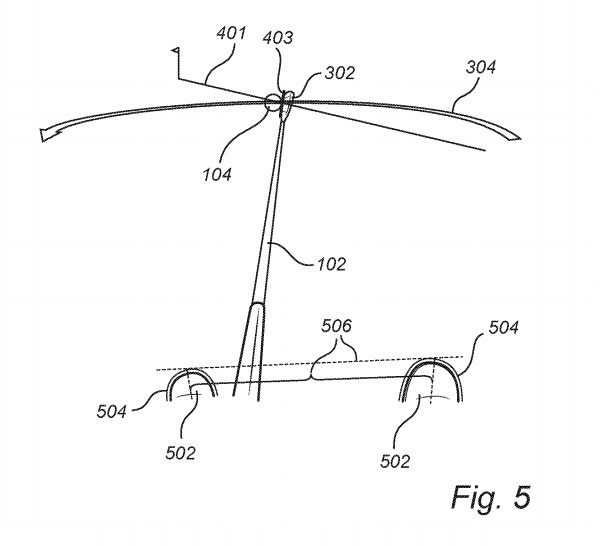 You, smartesGOLF.com or an instructor may adapt e. g. your total swing path according to your preferences, like swing width, swing plane and so on as long as your swing path at impact is set according to your desired golf shot. 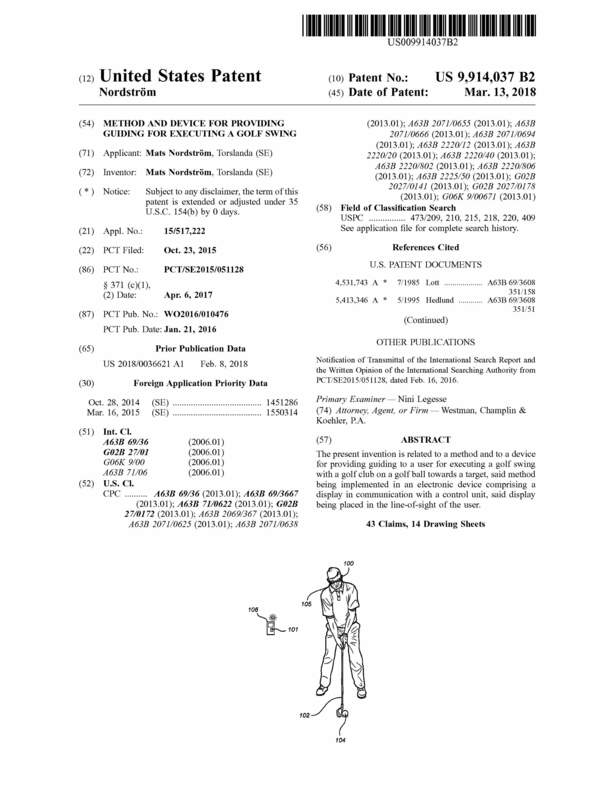 Your feet guiding lines may also be positioned to suit your measures. Q: What is my main need as a golfer? A: To hit the ball from A, in a desired ball trajectory, to B with feeling! Assume you are wearing a couple of digital glasses or lenses and you are walking towards your golf ball on a beautiful golf course. You are seeing the ball on a dogleg right hole and the surroundings around it and you start planning your next golf shot. There is a water hazard on the right side and trees on the left side. 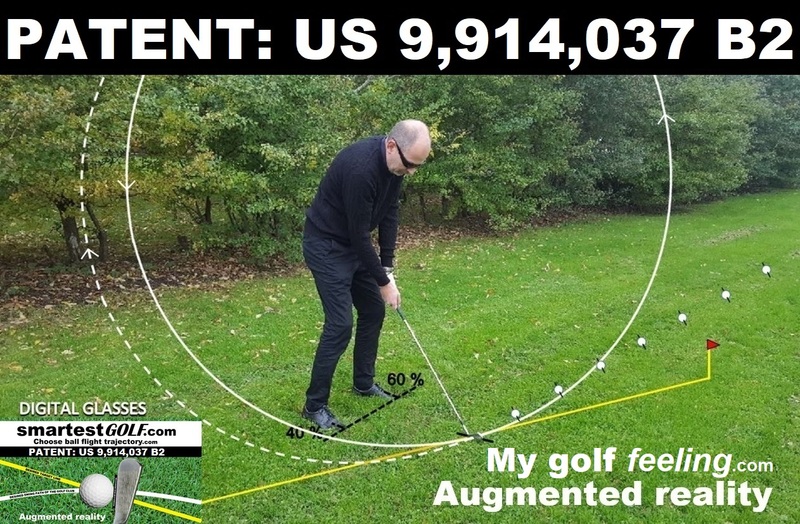 There are several options to choose between and you are having a fade shot feeling at the moment and you are confident about it because smartestGOLF.com will guide you how to manage your fade shot swing, showing a golf club trajectory guiding line, or a golf club head orientation guiding line or a desired target guiding line or combinations of these as 3D augmented reality. 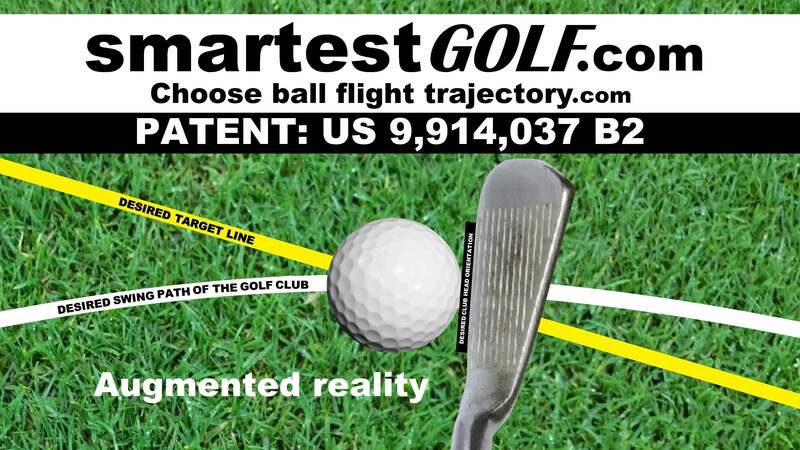 With or without a GPS you may also let smartestGOLF.com propose a ball flight trajectory. 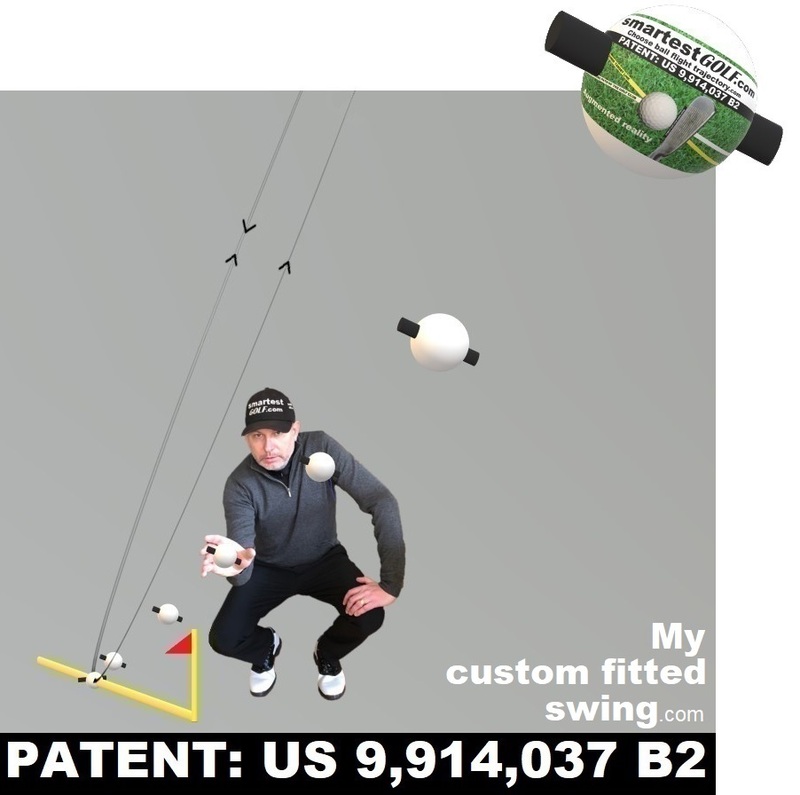 smartestGOLF.com could show how you should take your stance relatively the ball position and how your weight distribution should be. Furthermore, why don't you set up targets that you should try hitting or obstacles that you should try avoiding when practicing? When choosing your desired golf shot you may also see the desired golf ball trajectory and the desired spin axis of the golf ball. 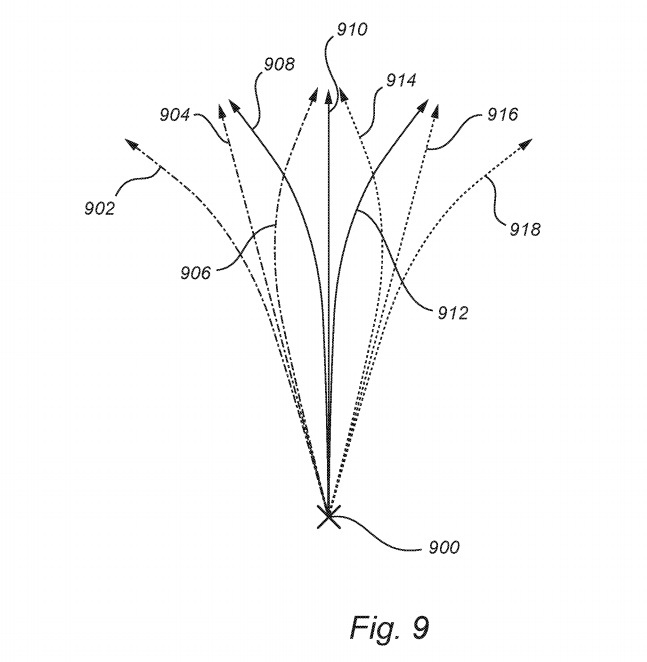 The spin axis changes depending on what kind of golf shots you intend to play. 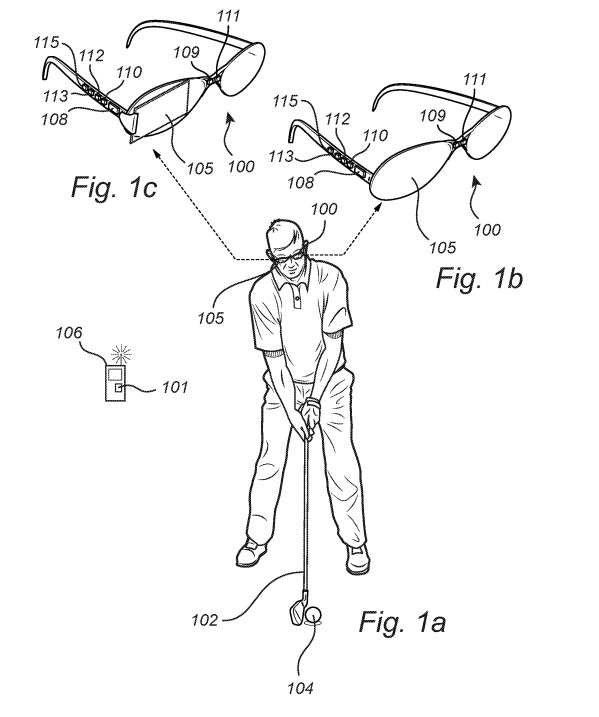 This will enhance the understanding of golf. More understanding will hopefully make it more fun playing golf and smartestGOLF.com will probably make you a better golf player which should cut playing time. What kind of golf shot do you want to play? What is your golf feeling right now? A controlled draw feeling? A controlled slice feeling? smartestGOLF.com will guide you regardless!